Following the success of the 2017 Festival and other related events, including the February 2018 Lunar New Year Celebration, the Grand Rapids Asian Festival team is bringing a whole week of Asian-Pacific-focused activities to the City. 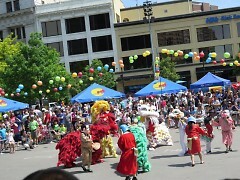 In 2017, for the inaugural Grand Rapids Asian-Pacific Festival, there was an organizing committee of just eight members. There were tons of volunteers, of course, and many organizations supporting the effort, but much of it came down to just those eight dedicated individuals. The moment they began planning that first festival, they already had visions of how much bigger and better it would be in years to come. Who knew that in just one revolution around the sun, it would grow to the size it is for 2018? The week kicks off on June 4, with an Asian Art Exhibition Reception at the DeVos Place Skywalk, from 5:00-7:00 p.m. 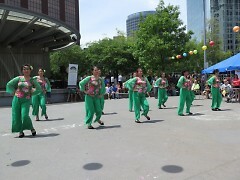 The free event will feature a special opportunity to learn the Dragon Dance, presented by Cafe Boba and Bamboo Studio. June 5, from 6:00-8:00 p.m. UICA will host An Evening of Bangladeshi Dance and Music, with performances that represent Bangladeshi heritage and culture. Admission is free and includes the exhibit “Transitions: New Photography from Bangladesh”, as well as a cash bar and light snacks. What’s happening June 6? Well, that’s a surprise! You can be certain the team has something exciting in the works. Check back on the Festival Week page to see what they announce. There are two activities for June 7. The first is Relax at Rosa with Kevin Michael Jones, percussionist, band leader, producer, and educator. Local food trucks, including Sanse Filipino Cuisine, will also be on site for the free lunchtime event, which is part of a regular series that runs every Thursday from May 3-September 13. The second is free admission to GRAM from 5:00-9:00 p.m., where visitors can view Pakistani-American Anila Quayyum Agha’s ArtPrize-winning piece: Intersections. What comes next is big. Really big. June 8, from 6:30-10:00 p.m., JW Marriott Grand Rapids will host Sushi, Sake & Sumo. That’s right: real sumo wrestling in Grand Rapids! Experience the National sport of Japan and meet the three sumo champions: Byamba, Takeshi, and the 600-pound Yama. Tickets can be purchased in advance here. There is limited availability and tickets will not be sold at the door. Afterward, join the Asians Night Out After Party with DJ Ace and DJ Bobolai. The week concludes with a bang with the Festival itself, Saturday, June 9 at Rosa Parks Circle from 10:30 a.m. to 10:00 p.m. 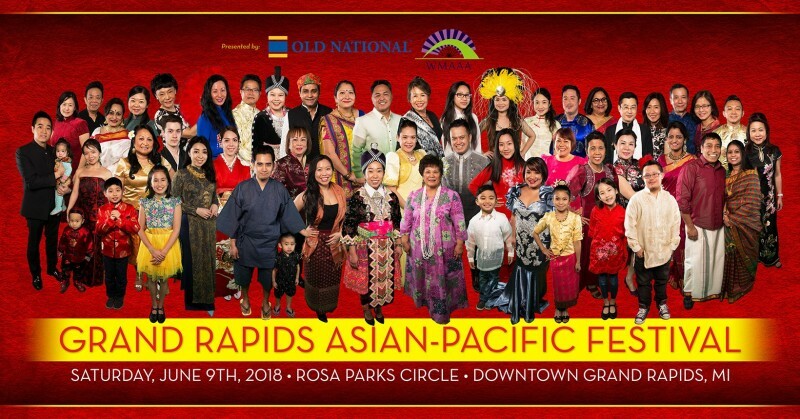 Presented by Old National Bank and West Michigan Asian American Association Inc., as well as many other donors, supporters, and sponsors, the day will be a lively celebration of Asia’s and the Pacific Islands’ rich cultures. 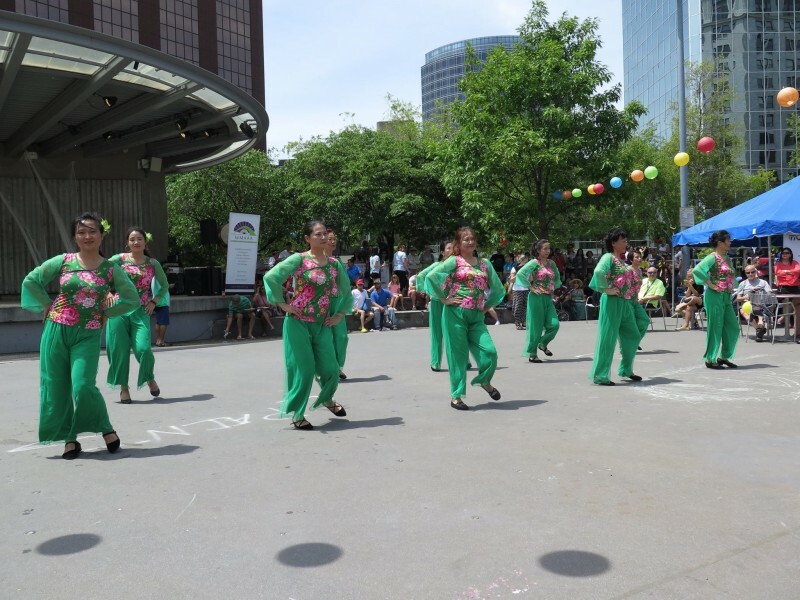 Visitors can sample delicious cuisine from many different countries; enjoy demonstrations and performances from martial arts to dance to music to fashion; and learn about Asian-Pacific art, languages, and traditional attires. There will also be children’s activities, a luau hour, an India Immersion hour, an appearance by the sumo champions from the previous evening’s Sushi, Sake & Sumo event, and a beer tent featuring local and Asian beer. Be sure to stay into the night and end the week’s festivities dancing and partying with Ace Marasigan DJ Entertainment & DJ Bobolai. And, before the week even begins, don’t forget to pick up your Asian Business and Supporters Passport, containing coupons and special offers from area shops and organizations. 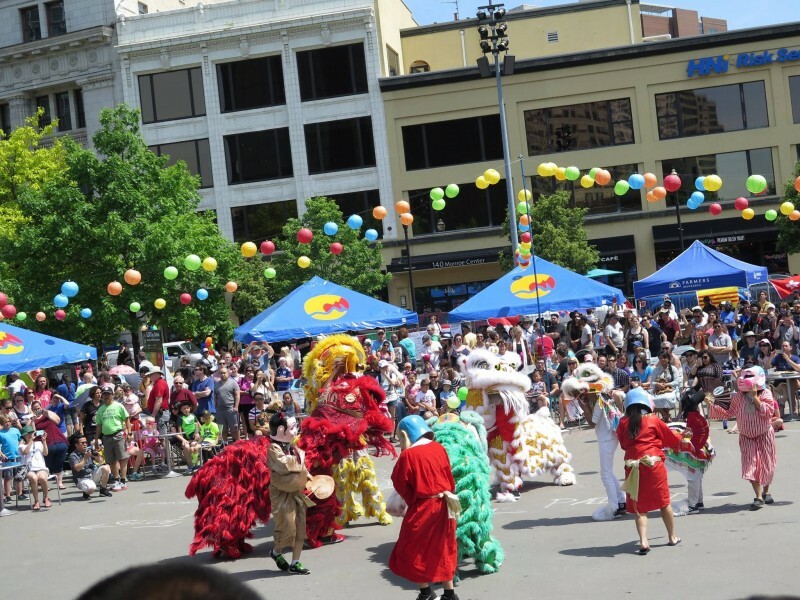 Visit three of the locations featured in the passport and collect a stamp or signature and you’ll be entered in a prize drawing during the Grand Rapids Asian-Pacific Festival on June 9, 2018. All proceeds from this event will help fund future festivals and provide support to non-profit organizations that serve West Michigan’s Asian-Pacific communities.